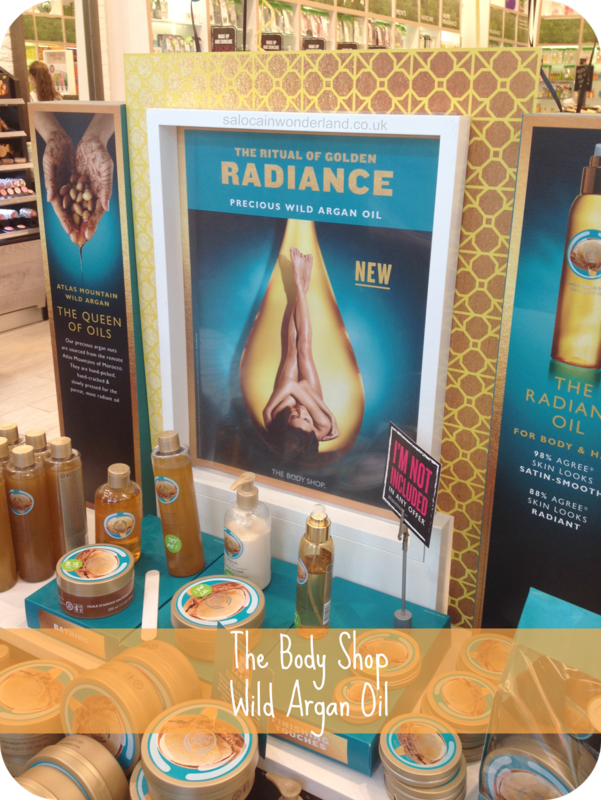 On Tuesday, Jackie, Roxanne, Laura, Anita and myself headed down to The Body Shop in Liverpool One for the launch of their newest range; Wild Argan Oil. I've been looking forward to getting my hands on some of the new Wild Argan line, I've heard nothing but good things about it and lately I've developed a bit of a thing for beauty oils - so this launch is perfect timing! The Wild Argon Oil products are made from very precious argan nuts that are sourced in the remote Atlas mountains in Morocco. After being hand picked they are then hand cracked and slowly pressed to create the purest argan oil. After much sniffing, oooooing and ahhhing I popped the shower gel and body lotion into my basket. I find the body butters can be a little on the thick side and the lotion felt really lightweight and silky when I tested it in-store. The bubble bath and body oil are at the top of my to-buy list for next time though! First impressions of the range are so far, so good. It’s an extensive range and I solid oils look amazing, especially if you’ve got dry or damaged hair. I had a quick demo of the solid hair and body oil and it melted like butter into my skin, it reminded me somewhat of the Lush massage bars. Like any and all Body Shop products, it passed the sniff test! It strongly reminds me of the shea butter range but with more of a floral undertone. We had a great time catching up and wandering the store. You can’t help but stop, smell and swatch everything in The Body Shop and I love how spacious and bright the Liverpool One branch is! 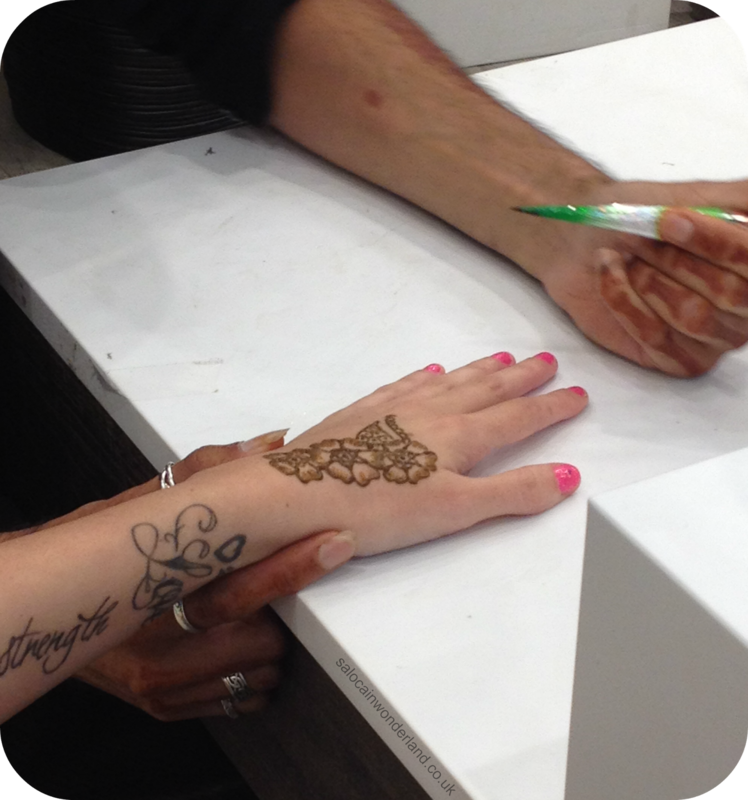 For the launch they’d even brought in a professional henna artist who did a stunning job on Lauras’ hand. I was tempted, it looked so pretty and intricate, but I have to wash my hands so often in work it wouldn’t have lasted more than a day! There was also a table of tasty treats, bucks fizz and a delicious green tea and mint which I couldn’t get enough of! I can see this being one of their more successful ranges. With backing from beauty blogger and vlogger Fleur De Force this is sure to be a hit. Brands are getting the big time YouTube stars on board more often now, ah the power of social media, it is a force to be reckoned with that’s for sure! 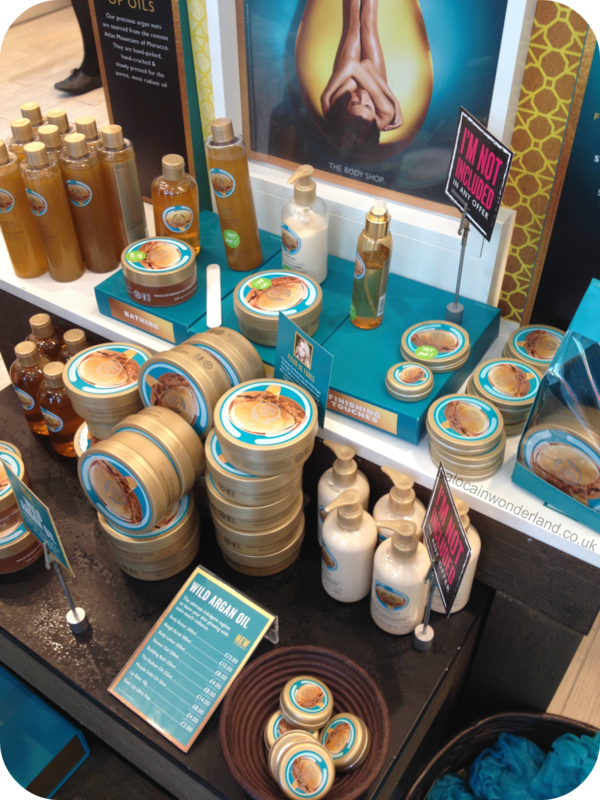 Have you checked out anything in The Body Shop wild argan oil range? Let me know in the comments below! Argan is everywhere at the moment! It's mental, but I heard of a new on which I think is the next 'big oil'. I think it starts with a K but I can't remember, weh. Hope you have a spiffing weekend! A new oil you say??! Now I'm intrigued! Loving what I bought on the night, especially the body lotion, ohhhh my skin is so touchable if I do say so myself hehe! Hope your weekend is glorious! Ah I love henna! I want to try this range, I love The Body Shop stuff and I bet this is so nourishing! I wish I could have had it done but I had work the next day and it wouldn't have gone down too well! It was so pretty and intricate, I've never seen it done before! The solid oil looks fab,and it smelt amazing! So pretty, isn't it? I'd have loved to give it a go! Lauras' hand looked amazing!